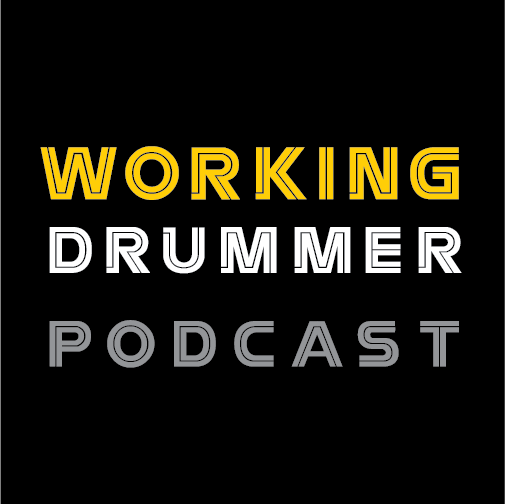 Greetings fellow vintage drum lovers! It's February and love is in the air so this month is a salute to the people in our lives who love the madness of drummers and let us chase our vintage dreams. 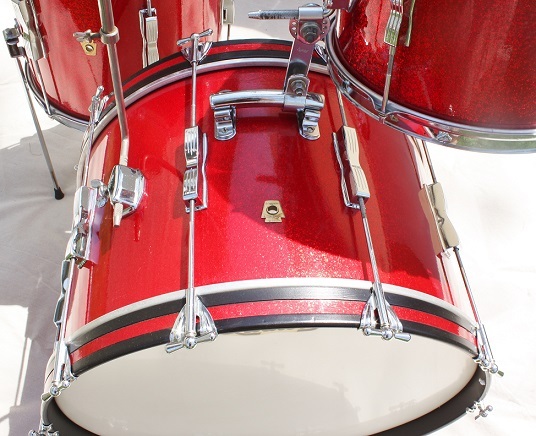 As you know, collecting drums can be costly and also takes up quite a bit of room. Those of us in relationships by now have learned our better halves must truly love us! For who would allow so many beautiful kits into a condo with under 900 square feet? Luckily for me, I finally found the person who believes in me and what I do. So I married her. This talented and patient person (aka my wife Elizabeth) is also the singer in two of my bands and we share our love for music by playing more than one hundred shows per year. So I made a deal with her. For every vintage kit, she gets the matching vintage dress. So she is now quite the collector of vintage dresses and chases them as I do drums. Happy WIFE = Vintage Happiness. So far, this has worked out for us! So CHEERS to your better half! Thank them and take her out to a nice dinner for letting you follow your passion for vintage drums and drumming. The great thing about this kit is it's not your regular 60s Club Date set. Whereas the most common Club Date kits are the sizes 20/12/14: this set is 22/13/14. Yes, that is a 22" Club Date kick with a 13" Club Date tom. The set was most likely a special order. I have done some investigation work and found that a variety of sizes were available. 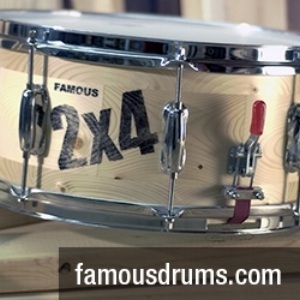 Sizes available were 14 x 20 and 14 x 22 Bass drums, 8 x 12 and 9 x 13 toms, 12 x 15 and 14 x 14 floor toms. Also of note is that the Combo outfit of the same year was a 22/13 so it’s also possible that this set was bought and the floor tom was added. Just like now, if you had the money you could order a kit to your own specific likings, which I believe is the case here due to the closeness of the serial numbers. The earlier P-1672 Ludwig hardware is present on the cymbal mount and tom while the floor tom has the spring loaded “Clipper” quick release legs. 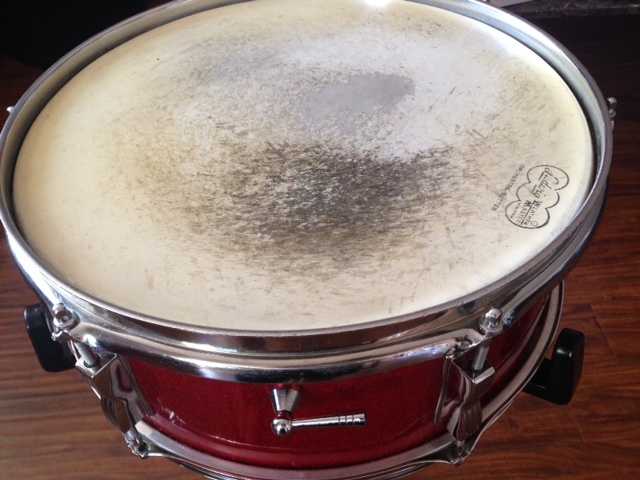 The matching Pioneer snare drum is still all-original everything and I don’t have the heart yet to upgrade the heads. The drums are in amazing shape with no fade of any of the wrap. White painted interiors are bright and still smell of Resocoat. 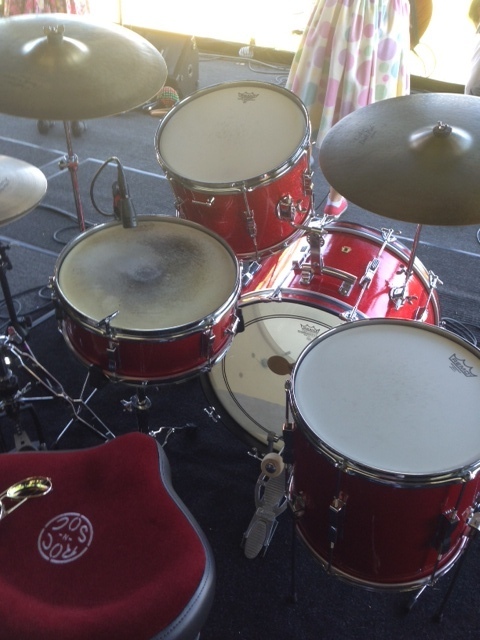 Red felt mufflers are on all the drums. The chrome is extremely shiny and no pitting is present. The original resonant head is still on the kick, which is my favorite part. This is a very BIG sounding kit as you could imagine. The 14 x 14 floor tom totally works and holds its own in the set up as it produces that big low end regardless of its size. I am a very big fan of the Club Date series drums and have several kits. They were designed to be the “compact and low price” kit at the time. As most of us know, the shells are the same three ply Mahogany poplar shells as the high end Super Classic/Downbeat kit’ of this year just with “streamlined self-aligning tension lug casings”, aka bowtie lugs instead. This is what makes them look so cool. My favorite part of the Club Date kits are the wonderful old school round T-rods on the bass drums unlike those found on the other Ludwig models. The Ludwig Club Date kit is truly a unique vintage kit and a great sounding investment.